Application for the Samsung American Legion Scholarship is to be made ONLINE at http://www.legion.org/samsung-scholarship-application . Child/Children, or legally adopted child/children, or child of a spouse by a prior marriage or dependent child as defined by the United States Armed Services of active duty United States military and Guard, and Reserve personnel who were federalized and died on active duty on or after September 11, 2001. Must be a high school senior or high school graduate to apply for the scholarship. Scholarship is for undergraduate study at a U.S. school of higher education. 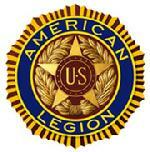 For more information regarding The American Legion Legacy Scholarship, email scholarships@legion.org .